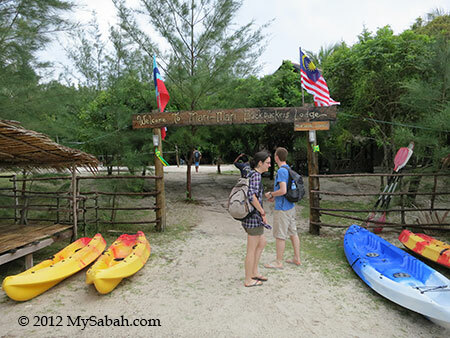 Mantanani, the Mermaid Island of Sabah has become one of the favorite island destinations of tourists. 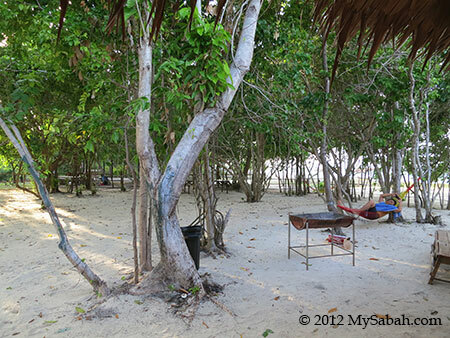 Instead of day trip, many tourists want to spend a night or two on the lovely island. 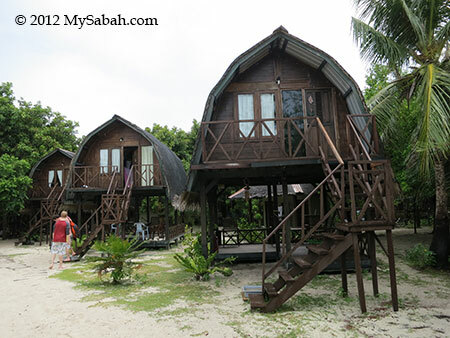 FYI, there are two budget accommodation on Mantanani Besar Island, namely Mari-Mari Backpackers Lodge and Sayang-Sayang Hostel. Both are managed by Traverse Tours and just next to each other. 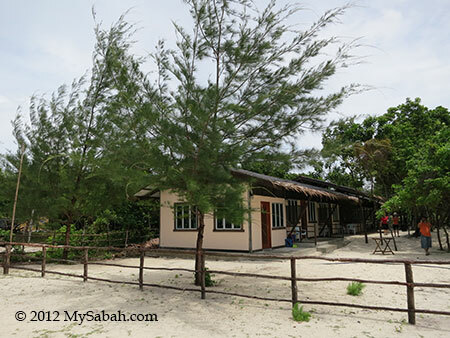 Please note you need to book the tour package to Mantanani Island in advance. Walk-in tourist may not be entertained. Just contact Traverse Tours for info. 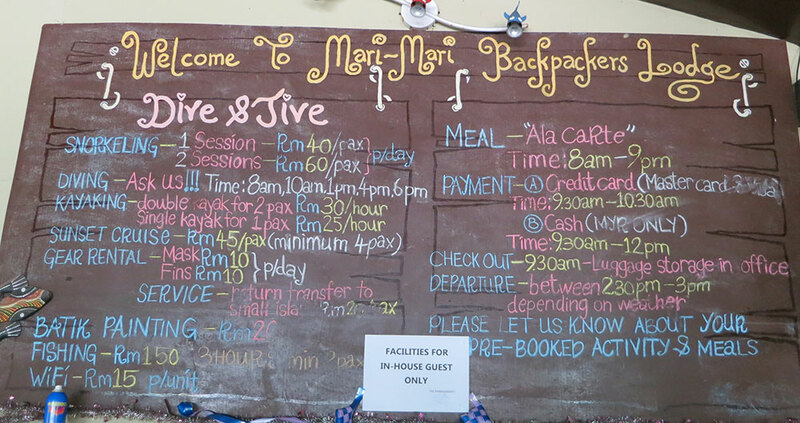 Tourists love Mari-Mari Backpackers Lodge because of its exotic design. 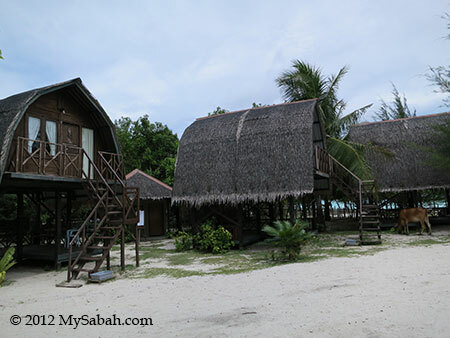 The roof of each wooden lodge is covered with palm leaves, making it looks like a hut of a native tribe. 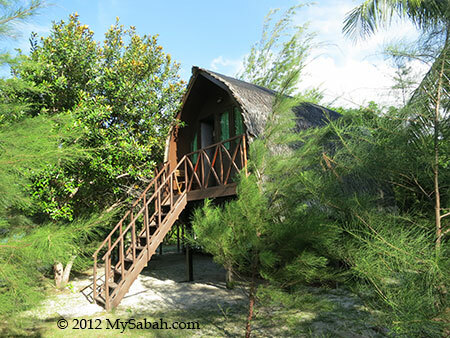 Pic: don’t you want to stay in this lodge? 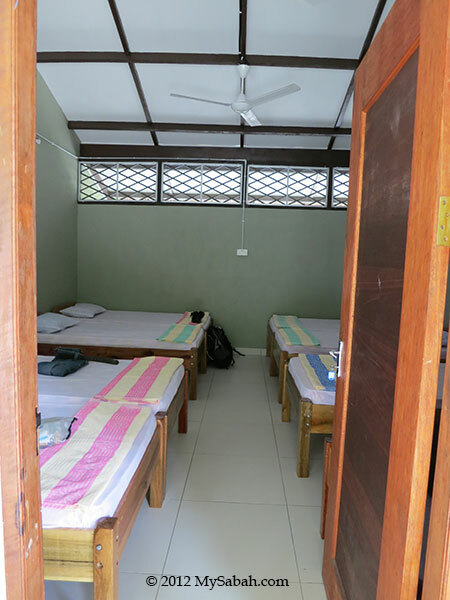 Each room can host maximum 4 guests. 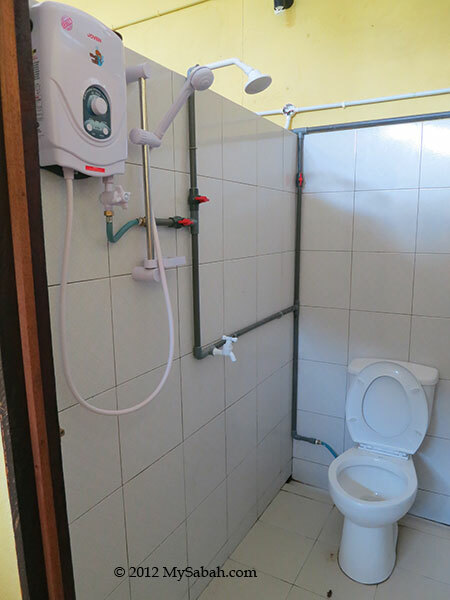 Mattress only and without attached toilet/bathroom. 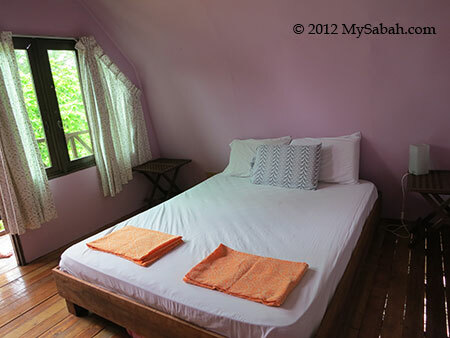 Each room can host 2 to 3 guests. Single or Twin queen/king size bed. 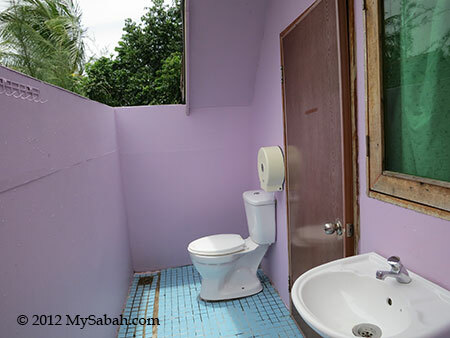 With attached toilet/bathroom. 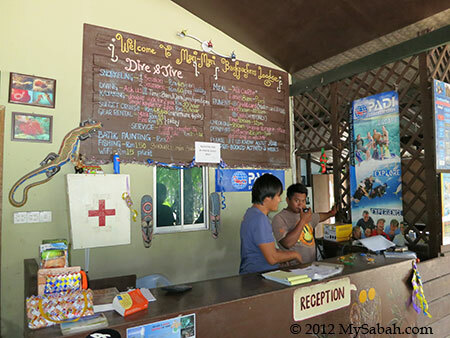 *room rate as of Sep 2012. Note the rate is per head. 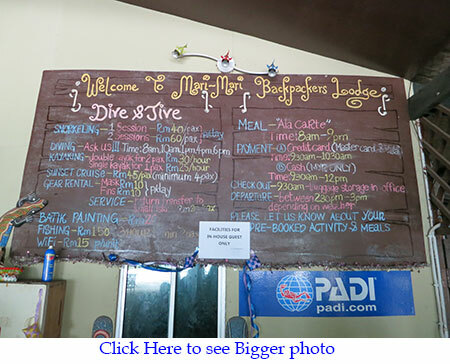 Below are more photos of Mari-Mari Backpackers Lodge. Pic: list of services and rates. You may click the photo above to zoom in. 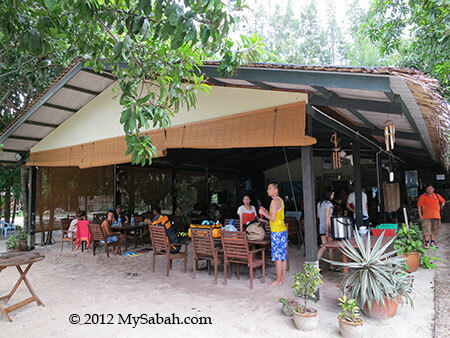 Pic: dining hall of Mari-Mari Backpackers Lodge. They have Wifi here but it’s not free. The cafe is open from 8am to 9pm daily. The tour package is not full board, so you may need to buy meal here. 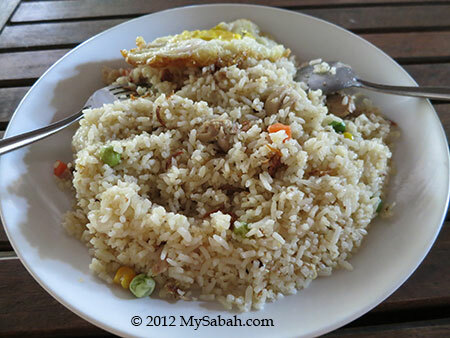 They have variety of Asian and Western food such as salad, lamb/chicken chop, sandwich, snack, pasta, American breakfast, BBQ and fried rice/noodle. 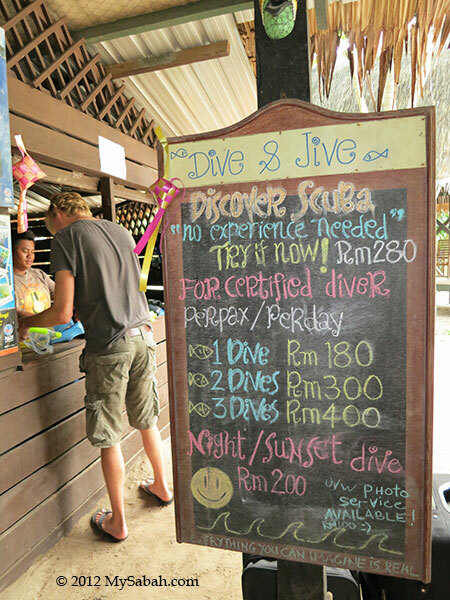 The price ranges from RM12 to 20 in average (≈USD3.60 to USD6). 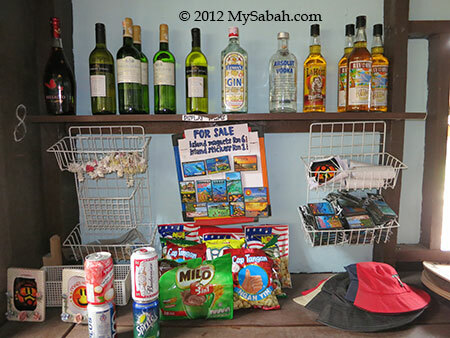 Pic: souvenir shop where you can buy snack, soft drink and alcohol. 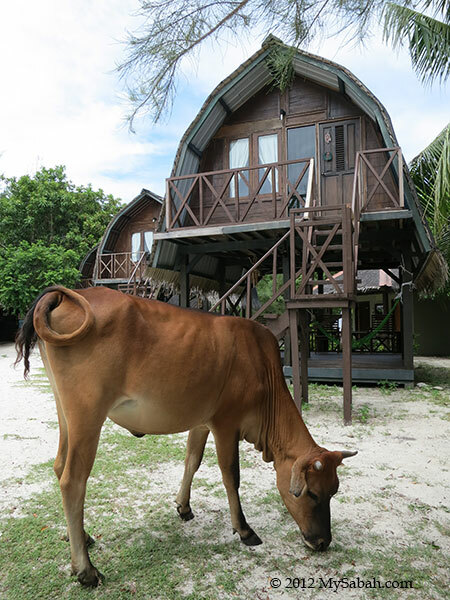 Pic: the cow from nearby village sometimes wandering around the lodge. 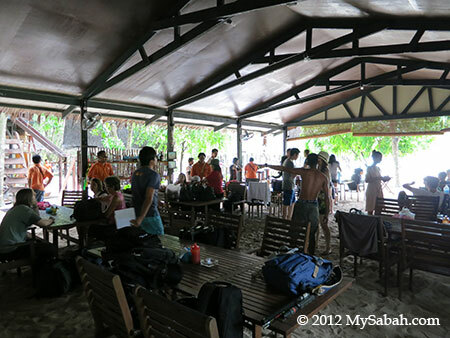 Sayang-Sayang Hostel is a new and cheaper accommodation less than 10 Meters away from Mari-Mari Backpackers Lodge. 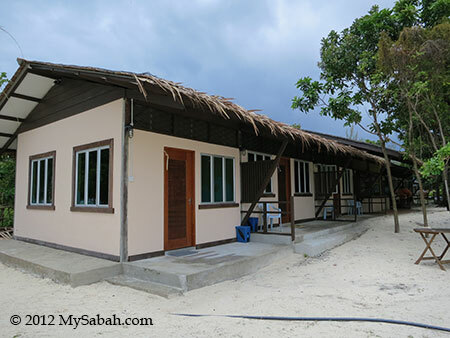 Sayang-Sayang Hostel has 4 rooms. 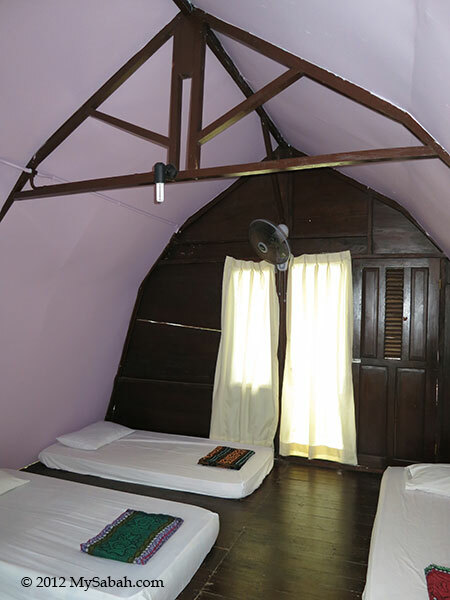 Each room can take 6 to 8 people. 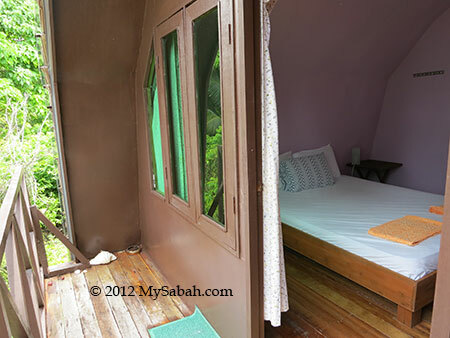 The room rate per night per head is RM60 (≈USD18). Pic: the room is very basic but clean. Mantanani is windy at night so it’s not too warm. 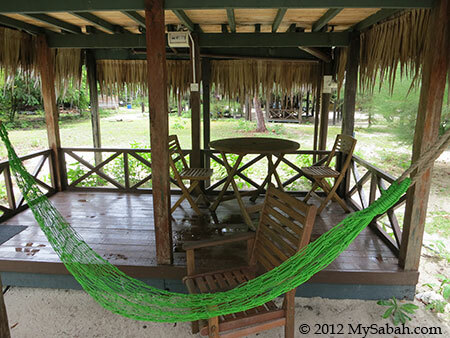 Pic: shady area with hammock outside the room. Watch out for red ants on the ground. 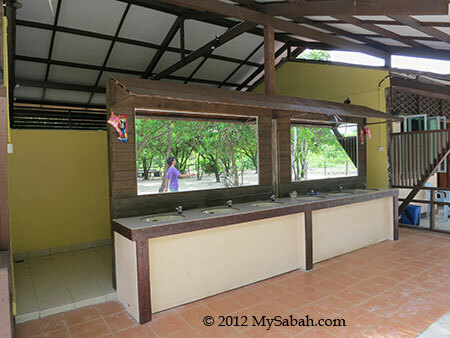 Pic: common bathroom and toilet of Sayang-Sayang Hostel, with mirrors and sinks outside. At the left is male toilet/bathroom, right side is for female. 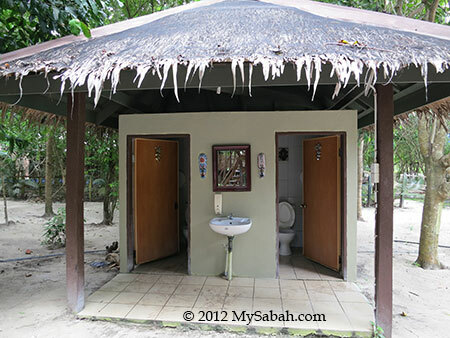 Pic: toilet and bathroom. 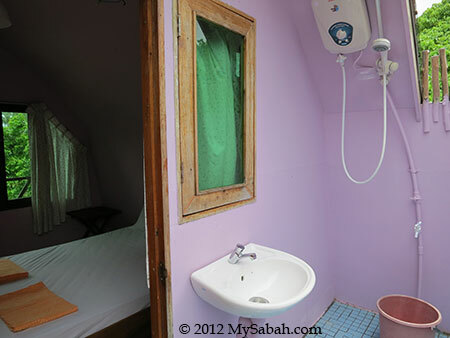 Hot water shower is available (6pm – 6am). Pic: they have BBQ stoves. 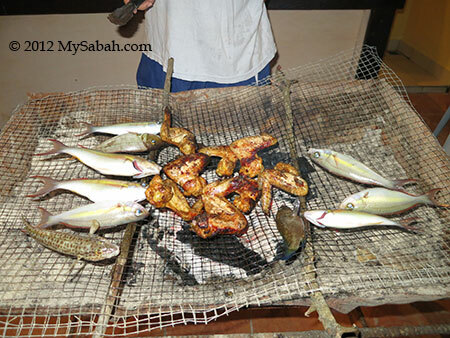 Bring some charcoal if you plan to have a barbecue party. 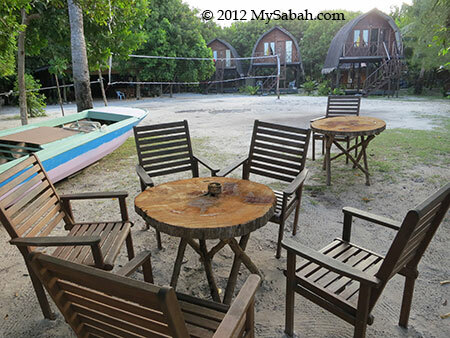 Pic: the beach is a few Meters away from both accommodation. You can see Mt. 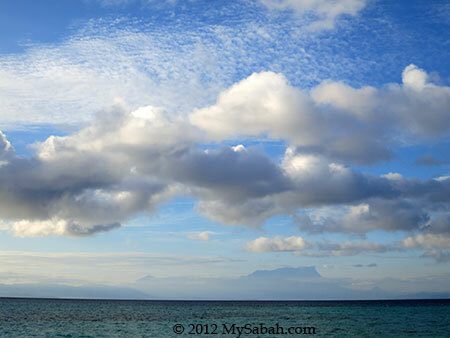 Kinabalu from there. The power supply for both accommodation is available from 6pm to 6am. The check-out time is 9.30am. 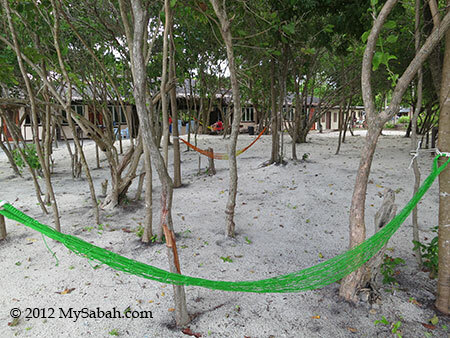 Hope this article gives you a good overview of the places to stay on Mantanani. Have a nice trip.